Former Finance Minister Yaw Osafo Marfo has said that his new job as Education and Sports Minister is a challenge he is looking forward to. In a ministerial re-shuffle undertaken by President Kufuor, Mr. Marfo swapped places with former Education and Sports Minister Kwadwo Baah Wiredu. That has prompted suggestions that the former Finance Minister, who wielded a lot of authority on account of his finance portfolio had been demoted. In an interview with Joy News, he dismissed the notion that his new job was a downgrading. He said people have that notion because they are either ignorant or do not understand the needs of the country saying that the country's priority is education and that finance is a service to all. Mr. Osafo Marfo said education was one of government priority areas in his state of the nation address was human resource development which is derived from education, so one cannot subordinate human resource development and governance and accelerated growth. He said the change was necessary, adding that running a ministry is basically a management function and he has proved himself right as a finance minister. The minister designate for the finance portfolio Kwadwo Baah Wiredu has also played down the notion that he has been elevated above his predecessor. Mr. Baah Wiredu's nomination was least expected although analysts concede that he was one of the hard working officers in the 1st term of the Kufuor administration. 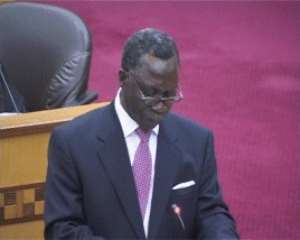 Speaking to Joy News, the nominee for the finance ministry dismissed the notion that his new task had elevated him above his peers. Asked how he was able to make it as a Minister through the Ministry of Local Government, Education and now Finance, Mr. Baah Wiredu said there is no trick and that it was hard work, stressing that every ministry was important and exciting and that with the launching of the new education policy, he would work together with Mr. Osafo Marfo as a team.